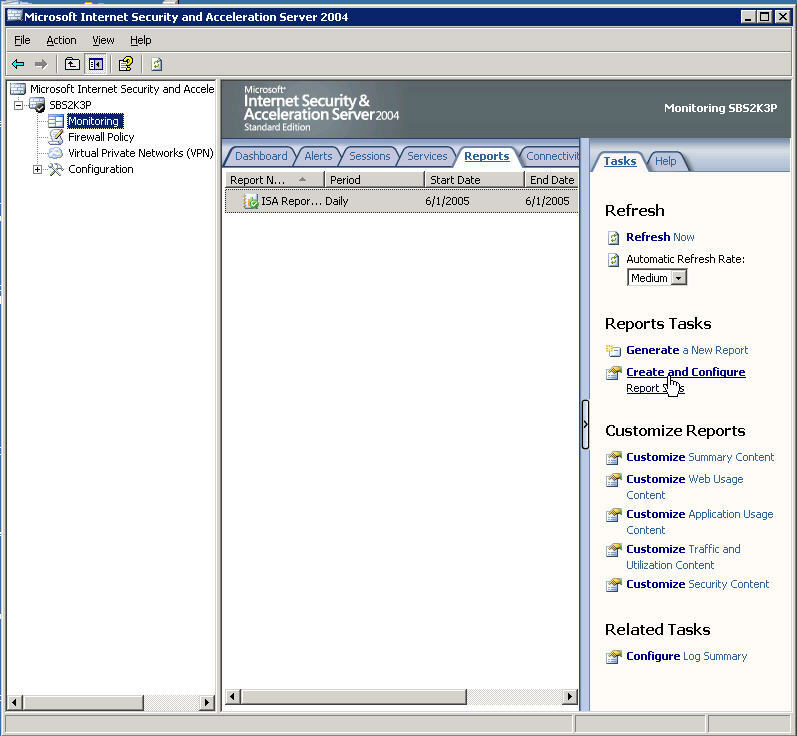 One of things you will notice after installing ISA 2004 is you no longer have the Web Usage Data in the Usage Report. 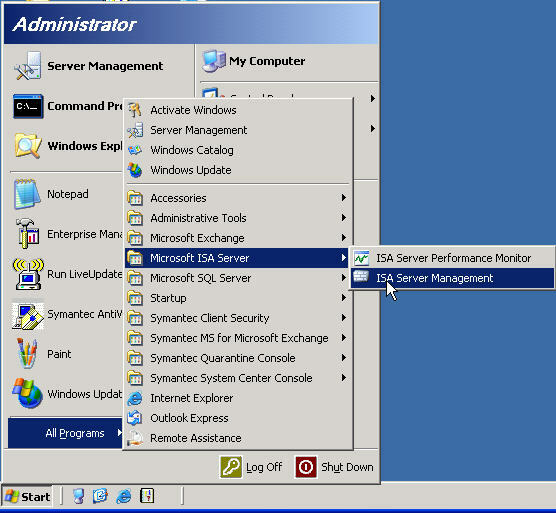 To regain this important information all you have to do is configure your ISA Server 2004 to deliver it to you. It is not a painful process at all so let's jump right in. 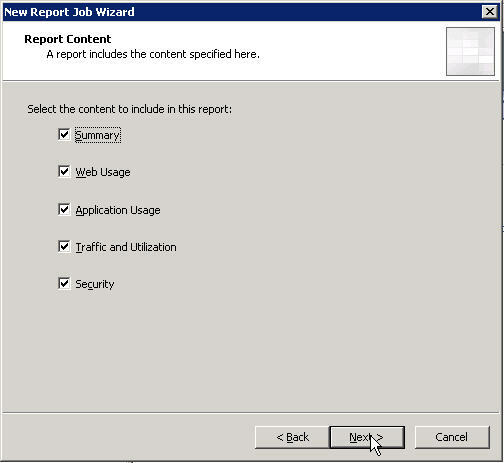 When the New Report Wizard opens give your report a name. 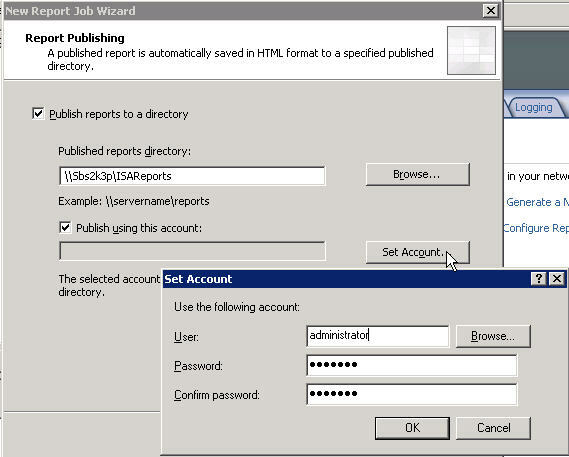 or name your report something like ISA_Report_1 with underscores instead of spaces. clickable although you could still copy and paste it. Then you be be presented with the different categories of information to choose from. I recommend selecting all of them until you are more familiar with what they contain. 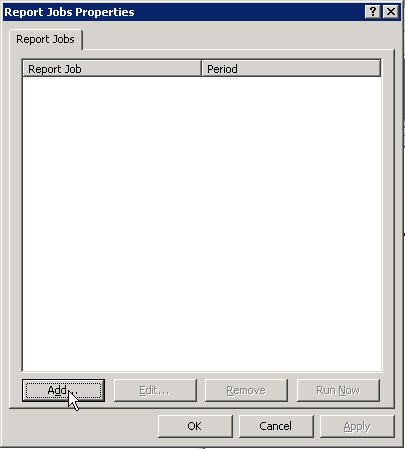 You can always come back and reduce the amount of info by editing the report job..
Next you get to select how often you want the report job to run. Here again I would start out with Daily and cut it back later on after you get a feel for what the content should like like. 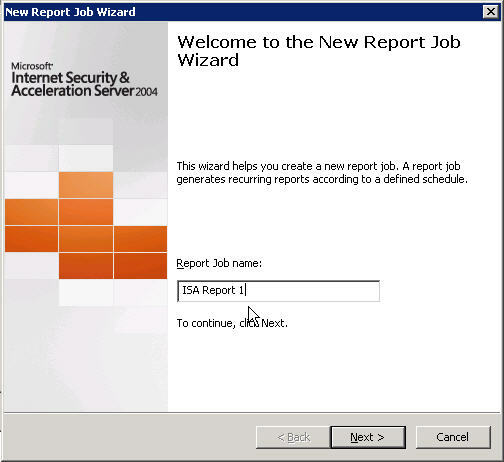 OK so if you are like me and jump right into things you are about to find out the wizard wants a shared folder to put the report in on the server. So create a folder and share it out. I would remove the everyone read permissions as some of the report information could be sensitive and you don't want to be sharing it with everyone on the network. 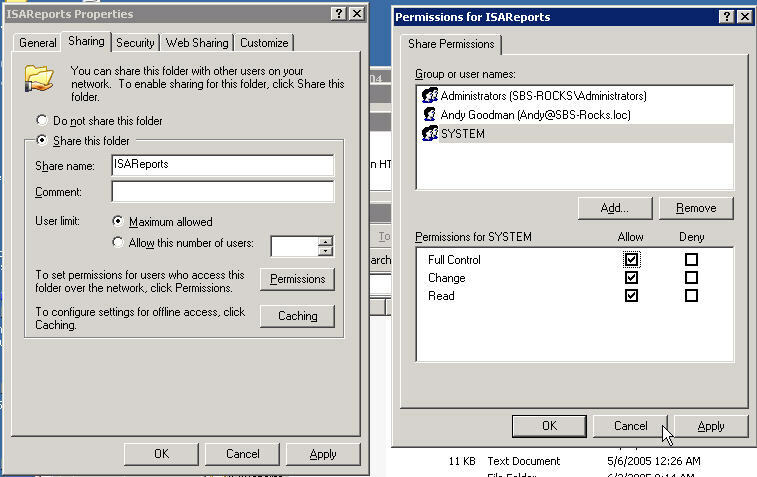 Notice that I have given the system full right to the share which I always find a best practice when restricting permissions. 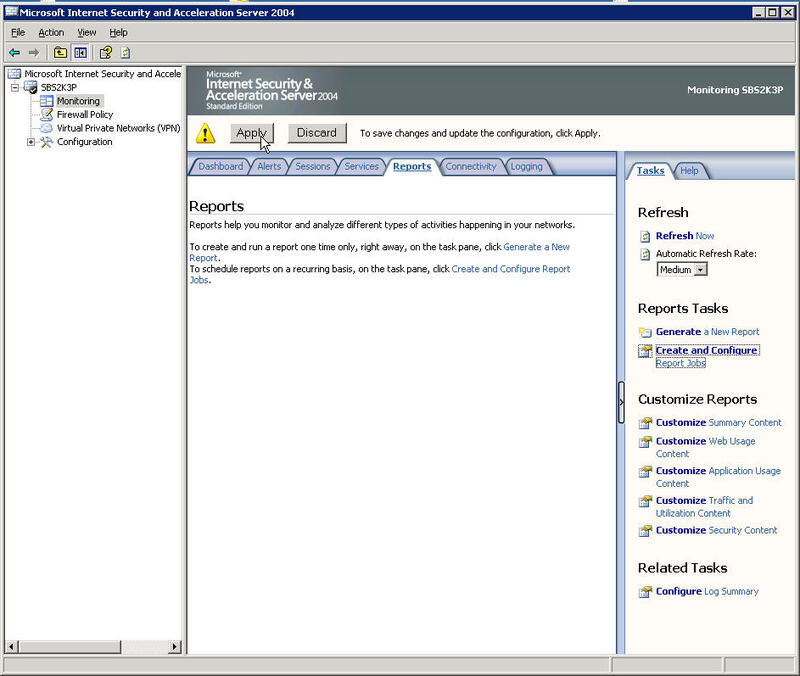 So now we can choose our new share for the location to publish the report. Make sure you use an account that you gave full permissions to. 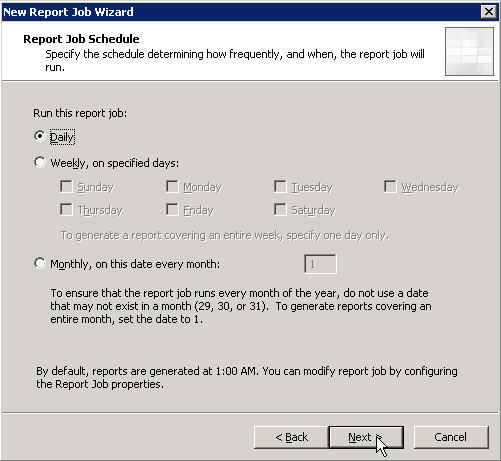 Next you can specify to send a notice to yourself or some else each time the report job runs. Make sure you hit the test button to verify you didn't make a mistake typing. You will be presented with obligatory Completing the Wizard Screen, click finish, you are not really done yet. 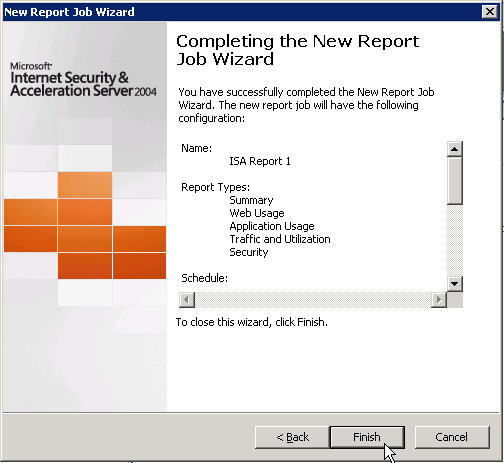 As with almost everything you add or change in ISA 2004 you must click the Apply button for your changes to take effect. Ok so now it is really done. If you are curious, this is what the e-mail looks like it will send out to you if you chose that option. By the way, I recently got an e-mail from David Maskell with a link to his article about how to publish these reports. Thankx for Sharing this with us David!